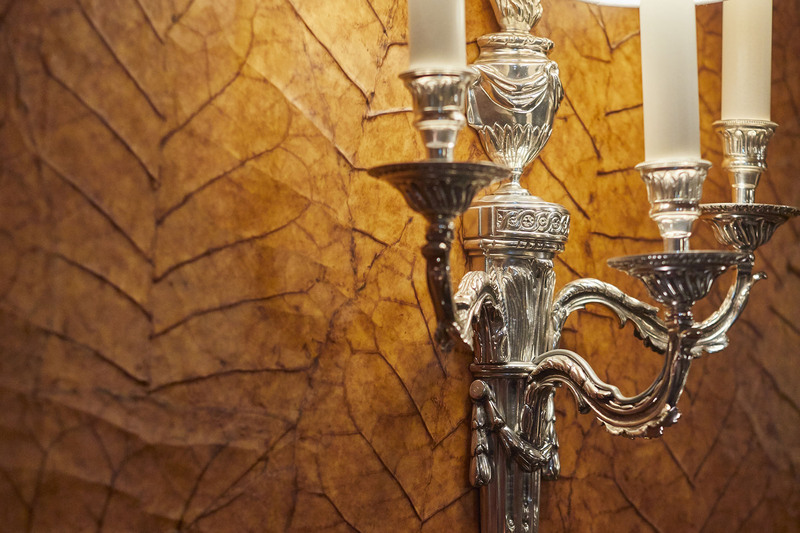 Our Select Collection is wall panelling with a difference. We have curated an extensive and diverse group of surfaces, based on our experience of what discerning designers have chosen for our favourite projects. 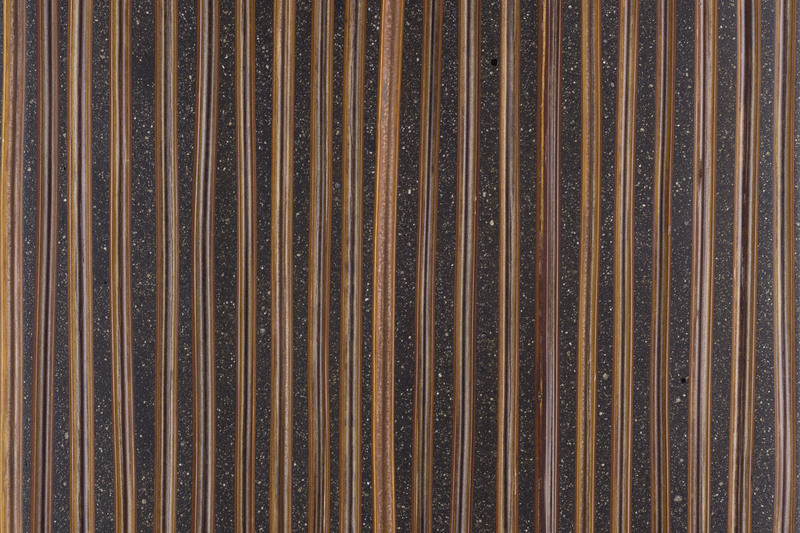 Here we have a stunning juxtaposition of two Select surfaces, abaca bark strips and pearl shell pisces. 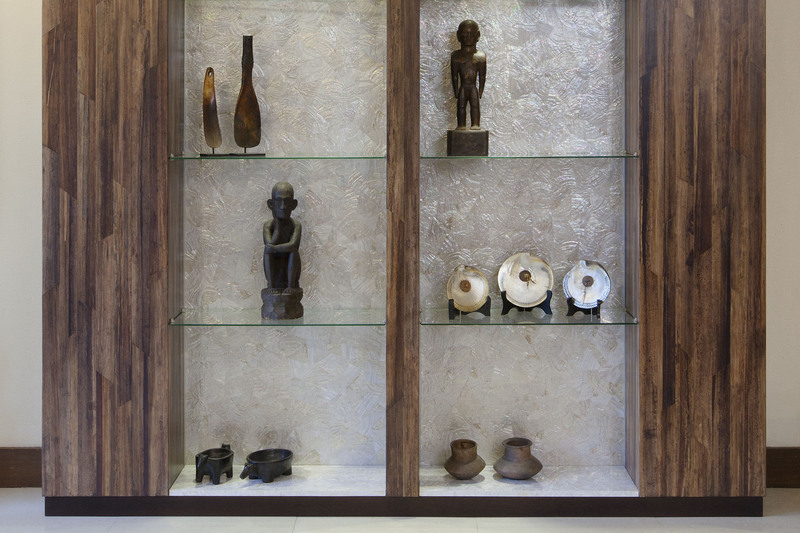 The contrast between the dark rich, woody tones of the abaca against the iridescence of the shell is highly effective as a backdrop to the owner’s collection of primitive art and artefacts. 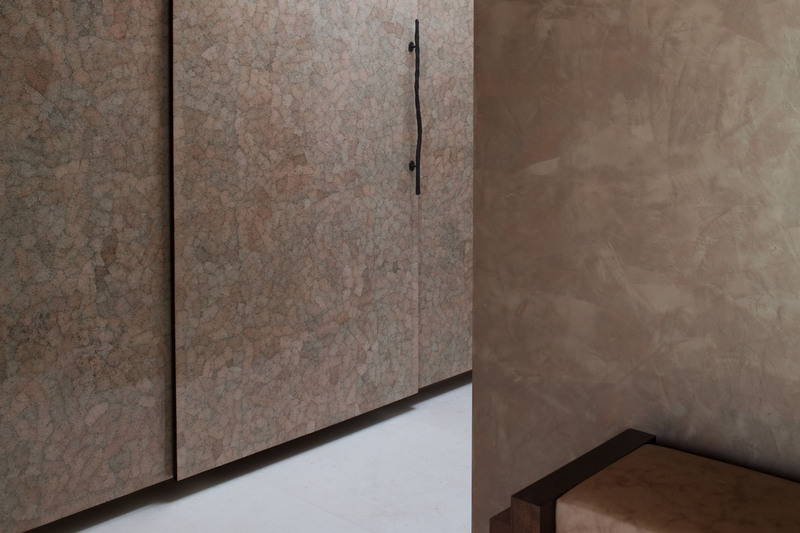 The floor to ceiling eggshell panelling applied in this residence’s entrance hall clads both bare wall and closet doors. It is warm, abstract and timeless; elegant yet inviting, as the first impression made on entering this family home. While eggshell inlay in Oriental motifs have long been seen in East Asian antiques, as an abstract wall application, we provide new insight into an ancient heritage skill. Perennial favourite tobacco leaves have been used in many different settings, often with an obvious link to smoking themes and spaces. Here is the Davidoff Cigar Lounge at the Grand Hotel Quellenhof in Switzerland, where it was applied both as wall panels, but also as humidor drawer fronts and furniture. 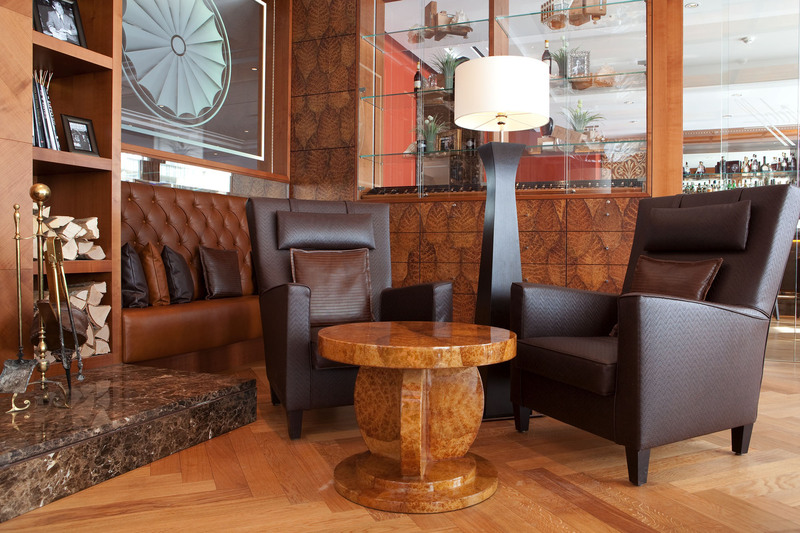 In a similar vein, the same material features in the Cigar Lounge of the Hotel Vier Jahreszeiten Kempinski in Munich, Germany. 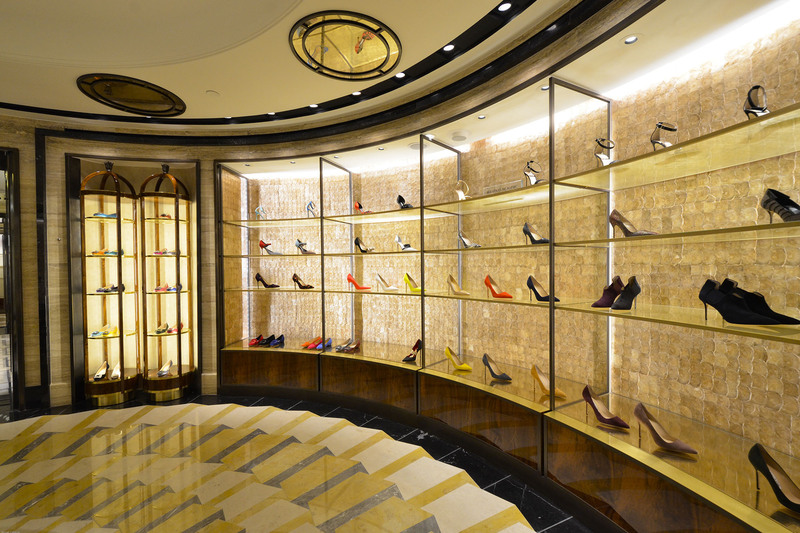 Capiz walls provide a stunning setting for spectacular shoes in Harrods’ Shoe Heaven. While not distracting attention from the main attraction – the shoes themselves – the golden hues of the capiz speak of luxury, opulence and self-indulgence. Wall panels have been complemented by pieces from our Elements and Essentials Furniture Collections. This surface speaks of quiet elegance and imparts a masculine vibe that has made it the choice for panelling in the board rooms of two large banks.